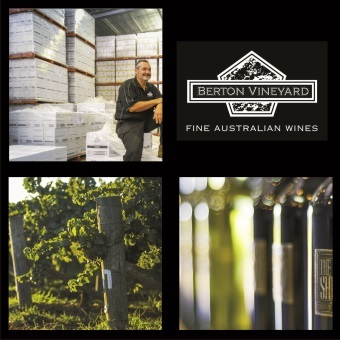 Berton Vineyards was established in 1996 by Bob and Cherie Berton when they purchased a block of land in High Eden, a sub region of the Barossa Valley, South Australia. This idyllic property sits 450m above sea level on gently rolling hills. Bob and Cherie set about planting the first Berton Vineyard cuttings that spring - ten acres of Shiraz and seven acres of Chardonnay. In 2005 when the former Southcorp winery in Yenda NSW became available, Bob and Cherie joined with Jamie Bennett, Paul Bartholomaeus and James Ceccato to form Berton Vineyards the company so that it could be in control of it’s own production. From humble beginnings in 2005 Berton Vineyards has grown into one of the 20 largest Wineries in Australia (Wine Industry Directory, 2011), Both the winery and their wines have received strong reviews and accolades internationally. In 2014 they were rated as one of the top 20 producers in terms of quality in Australia. They put their success down to maintaining personal relationships with their customers.